Attends have providing to consumers and the NHS for decades, creating products that are both secure and comfortable. Attends Slip Regular Plus 10 are all in one pads ideal for managing heavy to very severe urinary and faecal incontinence. The pads have been shaped to fit the user’s body, creating a close fit. The pads also feature odour control technology, which means you can relax throughout the day without the worry of any unwanted odour. 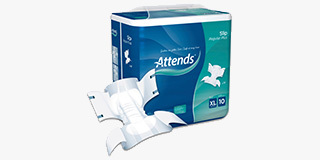 Attends Slip Regular 10 Plus features a polyethylene back sheet. Unlike Attends Flex, Attends Slip Regular Plus are not belted. Instead, they feature a 2-step fixation system and textile wings to encourage air flow. This also works to promote greater skin health. The all in ones feature a super absorbent core to provide maximum comfort during use, providing consistent dryness. The pads are available in sizes 80-115cm and 115-150cm. In contrast to Attends Slip Active, Attends Slip Regular Plus are designed for users who are less mobile. The material is slightly tighter and provides a more close-fit feel. Attends products are tested by proDERM, Institute for Applied Dermatological Research. The pads feature a breathable material to enable the skin to breathe, contributing to good skin health. 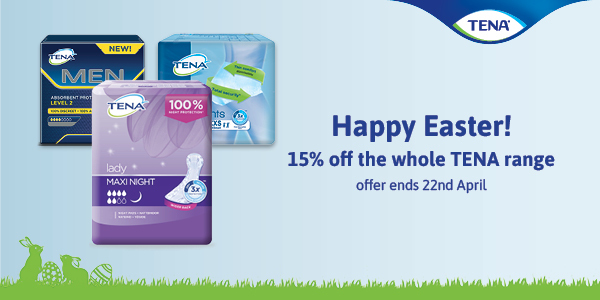 If you lead an active lifestyle, you can try the Attends Slip Active range.